Following the success of their NISMO Heritage Parts program with the Skyline GT-R R32, Nissan’s performance and motorsports division, NISMO has just announced that they’re expanding the reproduction of parts to include the supercars of the Playstation generation: the Skyline GT-R R33 and R34. 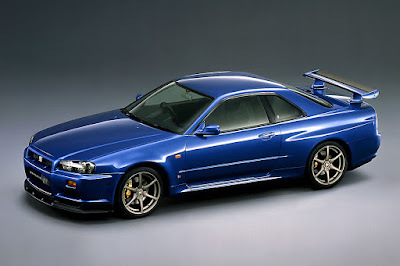 Exterior, powertrain, electrical, and various mechanical components are being made available for the R33 and R34 models. Parts are also being added for the R32 model, including not just essentials related to driving performance or vehicle inspections, but also hard-to-find components such as new weather stripping or power window switches. All in all, Nissan says they’ve doubled the available parts to about 160 making the NISMO Heritage Parts program the largest selection of parts for these models in Japan. A multi-company joint effort, the NISMO Heritage Parts Program aims to enhance support for owners of Nissan performance cars by continually studying the re-manufacturing and resupplying process of discontinued Skyline GT-R parts, among other models. The Nissan Heritage Parts program may continue expanding the availability of R32, R33, and R34 parts.